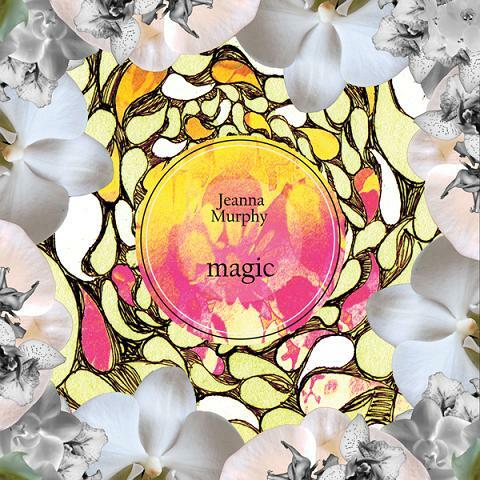 Jeanna Murphy’s debut album and solo release titled Magic is a varied, introspective piece covering a range of musical influences and charged with deep seeded emotions. Her sound is reminiscent of Enya and Enigma, possessing a theatrical undertone and an occasional world flare. Appropriately titled, Magic delivers a migration of sound in a dream-like arrangement. If Murphy’s life was a play, this would be the score. The solo artist earned a Bachelor’s Degree in music composition and has been making music for years. In 2004, she earned an honorable mention in the Billboard Songwriting Contest, and in 2005, she composed the music for a trilogy of Greek tragedy plays (which accounts for the theatrical ingredient to her sound). Murphy’s talent is apparent and Magic is testament to her dedication to making her dream of earning a living through her music come true. Magic’s careful song placement offers a kaleidoscope of musical progression from dreamy cognition, to instrumental arrangement, to electronic/ambient, to vocal acoustic and folk and a grand finale of revelation and hymn. The album is neatly sectioned by style and flows nicely from one genre to the next. Magic kicks off with “Strange New World,” which sounds like the Disney Electrical Parade on acid, littered with dubbed voices presenting cleverly arranged one-liners. The dreamy intro awakens to “Everything Illuminated,” which is arguably the best track on the album. This instrumental piece has an orchestral Klezmer style, with upbeat and sultry violin melodies, backed by tuba and percussion that makes you want to get up out of your seat and begin stomping ’round the room in a circle. “Magic,” the album’s title track, takes an ambient turn with a gentle array of synths and drum beats, coated with Murphy’s echoing and soothing vocals. Track five, “Out of Time,” is my other favorite on the album. It continues with the electronic style, but adds a Bhangra flavor. Not clouded by any vocals, the song allows the listener to fully appreciate Jeanna’s synched beat layering and provocative melody arrangements. “Out of Time,” with its fitting title, conjures an image of a pedestrian chase scene in an action movie-it’s a perfect song to drive to. The last half of the album takes a different direction than the first five songs. Murphy takes a melodramatic turn with an opera-like sound on tracks “You’ll Never Know” and “Sitting in the Corner.” While the lyrics Jeanna delivers on both of these tracks are rich with emotion, they lack poetic intrigue, especially on “You’ll Never Know.” It’s as if Murphy is reading from a depressed journal entry. The result is elementary and repetitive. The lyricism on “Sitting in the Corner” is a step up from “You’ll Never Know” and the acoustic sound is a refreshing change. However, the overwhelming theme of fear and self-pity become almost annoying and a bit like whining. Track seven, titled “Decisions” is a simple acoustic piece featuring only Murphy’s vocals and a bongo drum: It completely embodies classic Beatnik style-something you don’t really encounter these days in recorded music. Not surprisingly, the song’s theme is the ever-present topic of Murphy’s struggle to make it as a musician. The climactic finale of the album, “We Believe,” is an acoustic hymn in which Murphy is quite clearly rejoicing in God and his ability to guide her down her path. While the song begins with the usual depressing woes of the latter half of Magic, Murphy pulls the song up into a catchy chorus line: “For in my weakness he’s my strength / for in my sorrow he’ll ease the pain / for this we believe, for this we believe.” The song delivers a hope-filled message and works as the perfect finale to the collection. Jeanna Murphy is a talented artist and shows definite promise. Hopefully she has exhausted her album debut angst and listeners can look forward to new lyrical subject matter and further explorations into Jeanna’s electronic imagination on material to come. To Have and To Hold: Randomville Interviews Post Honeymoon The Oak Stripes?